If you have any questions or want to enquire about dates, use our form to contact Sara Piaggio or see their website for more information. 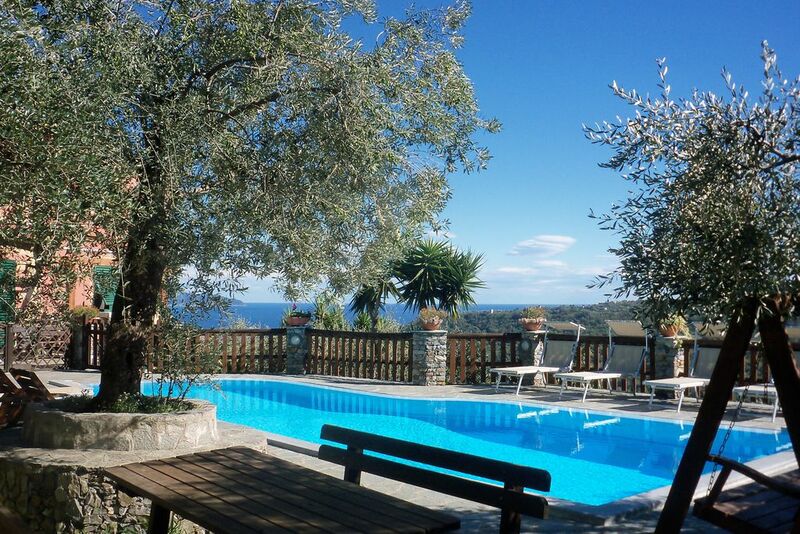 At the top of the winding road from Rapallo is a family agriturismo noted for its spectacular views: they swoop from your deckchair down to the coast. These 1.5 hectares of olive groves and orchards were planted by Sara’s grandfather, there are well-behaved dogs, cats, a donkey and a pony, and Rosanna’s delightful tiered gardens. Below the gardens are five simple, sunny and spotless guest apartments recently created from the farmworkers’ houses (two on the the ground floor and three above.) Some have bunks and beds in the living room, each has its own piece of garden or terrace. 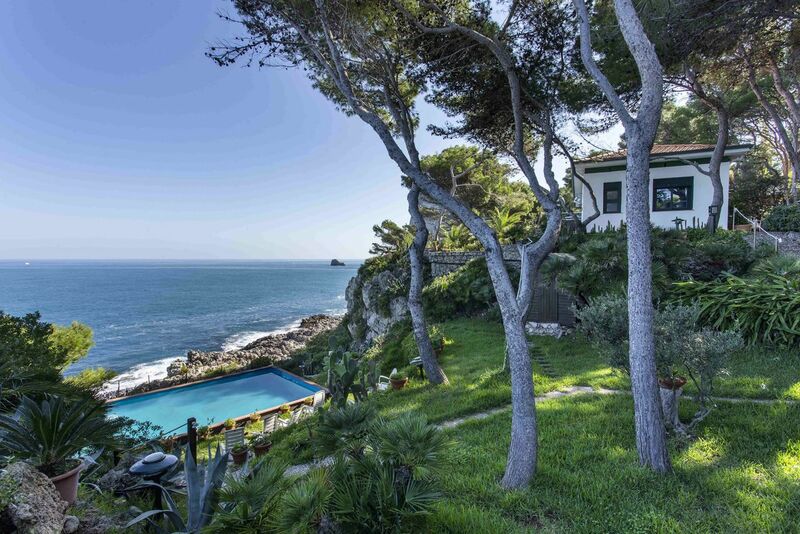 You may choose to set off for the day – for the beaches of Portofino, or the peaceful palmed promenade, two harbours and little castle of Rapallo – but you can happily stay here too, high up among the birdsong and the roses, the deckchairs and the terraces, the pool and the heavenly views. The beach is three kilometres away, the restaurants are down the hill, the Cinque Terre is 40 minutes by car and the buses run three times a day. Minimum stay three nights; five July-August. Air con extra charge. Sara is a great personality. She made us very welcome and responded to any requests promptly. The pool area is exceptional - 2 lovely pools, plenty of loungers, beautiful garden and stunning views. Kiwi apartment is very small, very basic, no comfortable easy chairs but the terrace area outside is quite spacious and private. There are lots of steps up to the pool area. The villa is up a quiet, steep road just outside Rapallo, which is a busy town. My partner and I stayed here for three fabulous days. The location was just perfect set high up in the quiet hills with glorious views down to the sea. Sara and her mother were perfect hosts and could not do enough for us. The apartment was very clean, modern and well equipped. It was only a very simple drive down to Rapallo, portofino or the motorway. The restaurant at the bottom of the road, was very friendly, good value and so handy. I would definitely recommend.